Fourth issue of the transreview (thought – contemporary art) published by Pétrole Éditions. 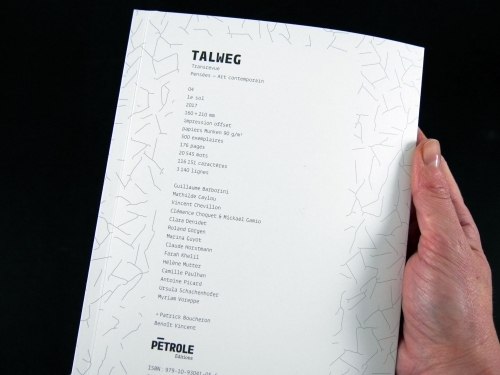 Invited by Greylight Projects, Pétrole Éditions shows TALWEG 04 and all the other publications. 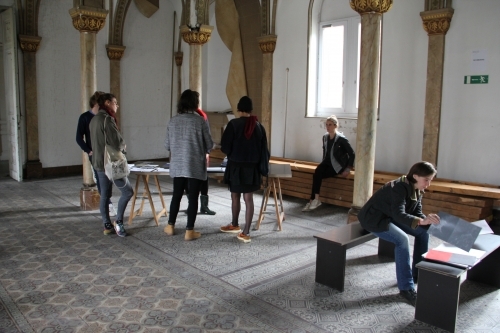 TALWEG is a annual and collective transreview. TALWEG holds to no technical or formal constraints. The format, the paper, the printing, the binding, form an architectural system specific to each edition. As a research laboratory, it combines visual and theoretical propositions, artistic, literary and scientific views around the commun notion. TALWEG 04 explores The Ground, bringing together the work of the artists Guillaume Barborini, Mathilde Caylou, Vincent Chevillon, Clémence Choquet & Mickaël Gamio, Clara Denidet, Roland Görgen, Marina Guyot, Claude Horstmann, Farah Khelil, Hélène Mutter, Camille Paulhan, Antoine Picard, Ursula Schachenhofer, Myriam Voreppe. They are joined by the historian Patrick Boucheron and the botanist-writer Benoît Vincent. 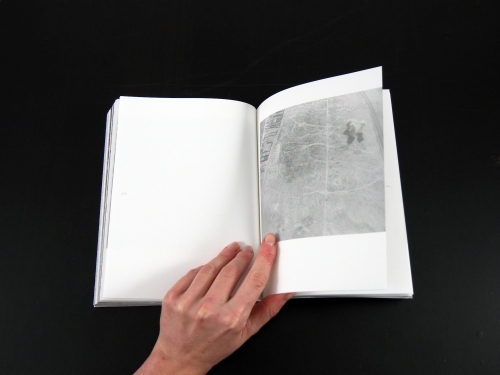 Pétrole Éditions conceives, makes, publishes, exhibits and distributes multiples in which form and content are closely linked, in books called “artists’ books”. Based in France (Strasbourg, Paris and Lyon), the publisher team is composed of the artists-researcher Audrey Ohlmann, Marianne Mispelaëre & Nina Ferrer-Gleize. 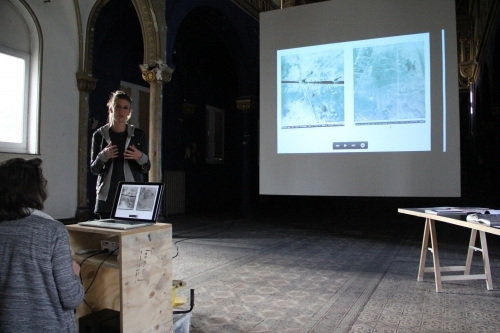 During the night, one of the artist published in TALWEG 04, Hélène Mutter (lives in Brussels), will introduced her work by a discussion with Marianne Mispelaëre, editor. Several publications will be available for curiosity, reading and sale. TALWEG 01 (2014) explores the concept of the FOLD, bringing together the work of seven contemporary artists and the english anthropologist Tim Ingold. TALWEG 02 (2015) covers the concept of PERIPHERY through nine artists and the American poet Susan Howe. 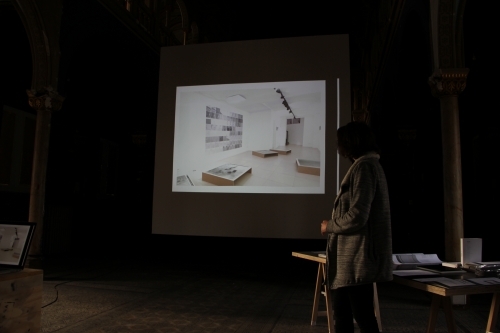 TALWEG 03 (2016) rise the concept of the MOUVEMENT and gather nine artists and the authors Marie Richeux, Marie-Ève Lacasse, Nathalie Quintane and Montassir Sakhi. TABLETTE (2014) is a multiple by Joséphine Kaeppelin, edited at 25 exemplaires.